Canadian Michelle Li wins a third consecutive Canada Open while the first three finals went to first-time Grand Prix title winners, including Sai Praneeth, who beat former world #1 Lee Hyun Il.at the Canada Open Grand Prix. 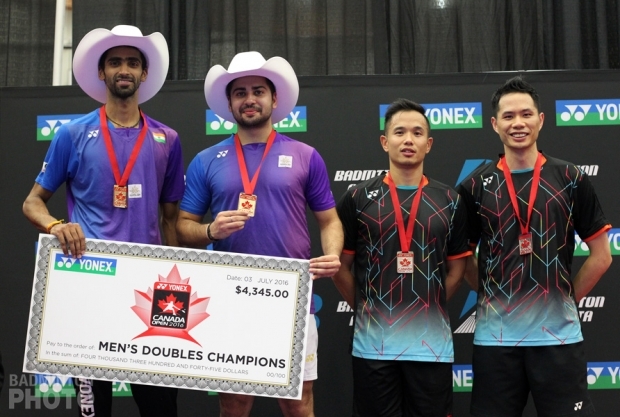 Finals day at the 2016 Canada Open Grand Prix started off with the mixed doubles final in which the unseeded pair of Do Tuan Duc and Pham Nhu Thao (pictured top) were up against fourth seeds Nico Ruponen and Amanda Hogstrom. In the most entertaining match of the day, the coachless Vietnamese blasted off in the first game with more aggression, speed, stronger offense and superior net play. The Swedes were destabilized and couldn’t produce nothing but easy mistakes in the first game and were tamed 9-21 in the first game. The Swedes came back to win the second but the story of the first game repeated itself in the third and the Vietnamese won the match 21-9, 10-21, 21-13. 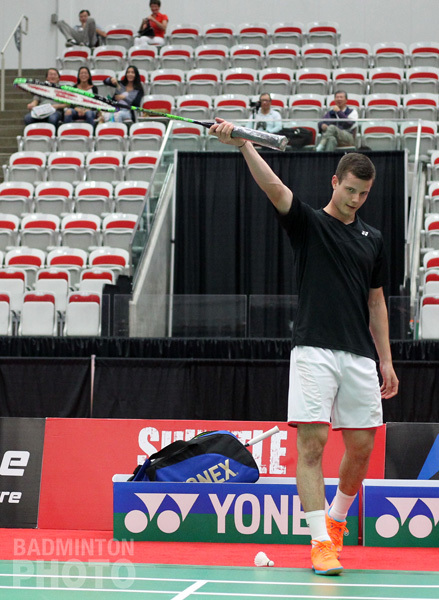 The pair began the week by recording their first ever main draw win in a major tournament and the victory on Sunday just capped off an incredible week for them. 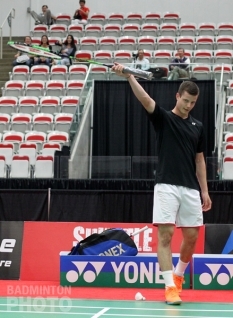 For the first time in three years, the men’s singles title in Canada did not go to a former world #1. Lee Hyun Il won in 2014, ten years after his brief appearance at the top of the charts, then current world #1 Lee Chong Wei won last year, very early in his post-disciplinary hiatus comeback. However, the 2016 final never really happened: a lifeless Lee Hyun Il never got off the mark and lost 12-21, 10-21 to Sai Praneeth (pictured above). In women’s doubles, Australians Gronya Somerville and Setyana Mapasa (pictured above) were undoubtedly more eager on court than their English counterparts. That energy, coupled with a stronger defense, was enough to beat the second-seeded duo of Heather Olver and Lauren Smith. The win provided the Australians with their first ever Grand Prix title. The women’s singles final was never to be played because of Zhang Beiwen’s withdrawal due to personal and financial reasons. 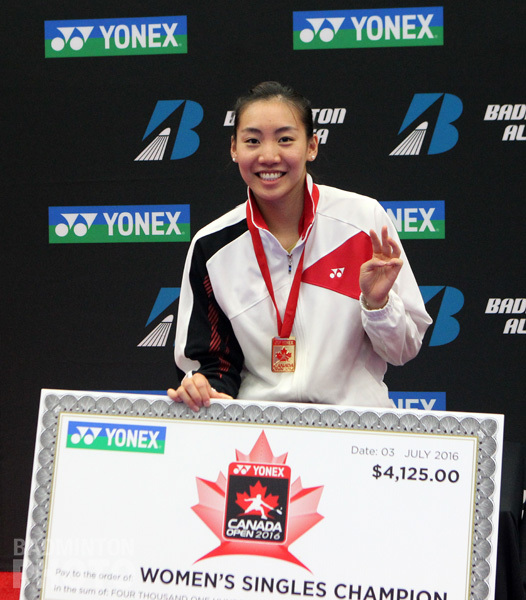 The absence of the second seed from the U.S. opened the door for a third consecutive Canada Open title for Michelle Li (pictured). “I would have liked to play Zhang today, but it wasn’t meant to be”, said Li, who was thus denied the chance to even her lifetime record against the Liaoning native. 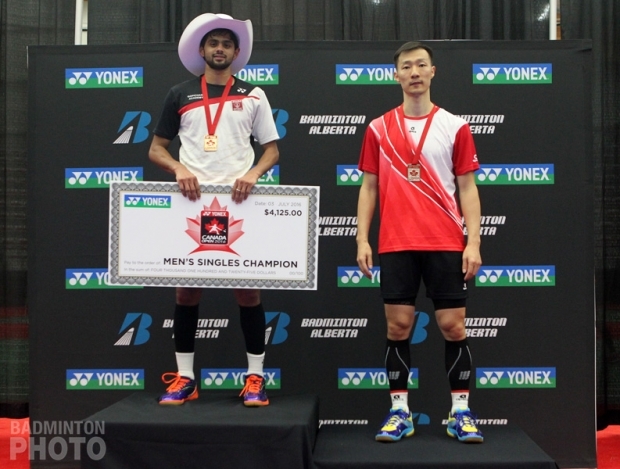 The last match of the day pitted Adrian Liu and Toby Ng against first seeds Manu Attri and Sumeeth Reddy (pictured below) of India. Despite the support of the crowd, the Canadians never got into any rhythm and just couldn’t counter the Indians’ superior power. Despite sporadic bursts from the Canadians, the Indians controlled the match from beginning to end and won 21-8, 21-14. To compensate for the women’s singles, the organizers organized an exhibition match between Michelle Li (pictured bottom) and Martin Giuffre. 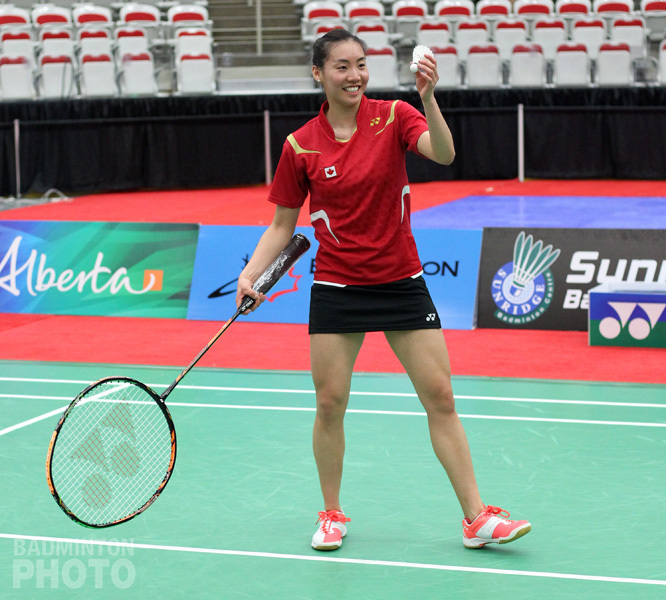 Much to the delight of the crowd, the two players – who will be Canada’s only badminton delegates to the 2016 Rio Olympics – added humour and antics to their display of on-court talent.